Natural agave sweetener is an option for those wishing not to use honey, white sugar, or unhealthy artificial sweeteners. I have been noticing that some coffee/tea shops now have agave sitting out for customers to use. Agave is well known as the plant tequila is made from, however, it has been used as food for thousands of years. The Aztecs prized the agave as a gift from the gods and used the liquid from its core to flavor foods and drinks. Agave thrives in the volcanic soils of Southern Mexico. Agaves are large, spikey plants that resemble cactus or yuccas, but they are actually succulents similar to the Aloe Vera. To make agave nectar, sap is extracted from the core, filtered, and heated at a low temperature, which breaks down the carbohydrates into sugars. Look for the raw brands as most brands heat at a temperature above 118 degrees. Most raw food enthusiasts generally regard agave nectar as a raw food, but be sure you are getting truly raw. Use agave in the same recipes you would use table sugar. Agave is a natural sugar substitute without the chemicals that artificial sweeteners contain. Agave sweetener is sold in health stores and some grocery stores. Agave is a plant that resembles a cactus or yucca primarily found in Mexico, and has a nectar known as "honey water." When the plant is between seven and 10 years old, the leaves are cut back to the core. When harvested the core looks like a giant pineapple and can weigh 50-150 pounds! The sap is extracted from the core and then heated and filtered to make agave nectar or also called agave syrup. 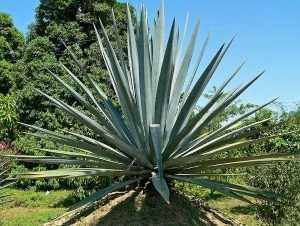 There are over 100 species of agave with blue agave being the preferred for producing nectar/syrup. This is because blue agave has a high carbohydrate content which results in a high percentage of fructose in the final nectar. The taste of agave nectar is close, though not identical, to honey. Many people who do not like the taste of honey or do not use products made by animals, find agave a good choice. Most brands offer a light and a dark choice. 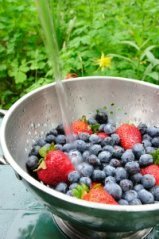 The lighter syrups undergo less heating and a more thorough filtration to produce a mild flavored syrup that is neutral and is desired in culinary dishes. The darker syrups are filtered less and the solids left in the syrup make for a stronger flavor sometimes compared to maple syrup. Agave nectar consists of fructose and suctrose. Agave is 1 1/2 times sweeter than sugar, so less can be used. Most agave sweeteners are NOT raw. Even if they say they are raw, I would ask the company of the product what temperature they used to process the agave to be sure of what you are getting. It is low glycemic with a glycemic index of 39 or less. You get natural sweetness without the blood sugar spike. Just remember that agave is a sweetener with natural occurring fructose and suctrose components so it is not considered a health food. 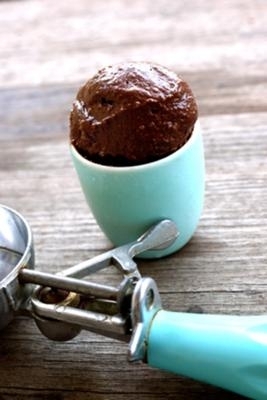 It is an alternative to sweeteners that are highly chemically processed, so it is an option in the raw food world.